TAURUS LTD, CLEAN CARFAX W/37 SERVICE RECORDS. MOON, NAV, REAR CAM, SYNC, CHECK OUT THE VIDEO! 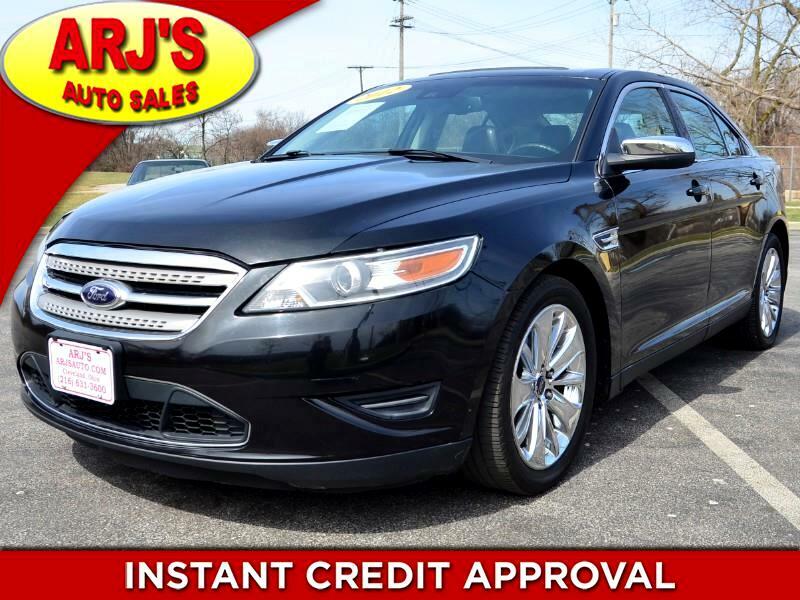 ARJ'S AUTO SALES IS PROUD TO PRESENT THIS STYLISH AND LOADED 2012 FORD TAURUS LIMITED AWD. CLEAN CARFAX HISTORY WITH 37 SERVICE RECORDS. THE TUXEDO BLACK METALLIC EXTERIOR OPENS TO A LUXURIOUS BLACK LEATHER INTERIOR. FULLY EQUIPPED WITH A MOONROOF, NAVIGATION, REAR CAMERA, FORD SYNC, WHICH ALLOWS FOR HANDS FREE PHONE USE AND CONTROL OF MUSIC. BACK ROW FOLDS FLAT WHEN YOU NEED TO CARRY CARGO. THERE ARE FEATURES EVERYWHERE IN THIS SPACIOUS TAURUS. A 3.5L V-6 & AUTOMATIC AWD TAKES YOU WHERE YOU WANT TO GO WITH ASSURANCE. ALLOY WHEELS HAVE TIRES WITH GREAT TREAD ON THEM. GOTTA SEE THIS ONE!